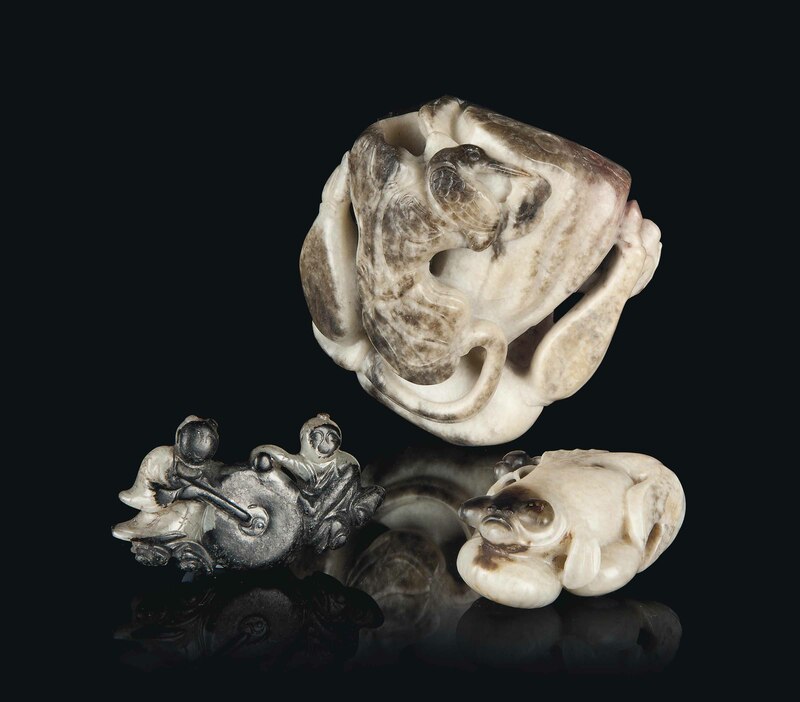 The first is carved and pierced as a lotus pod group, the stone is of a creamy tone with purple and mottled inclusions. The second is carved as a goldfish group, the stone is of a creamy tone with mottled inclusions. The third is carved as a figural group of two musicians holding and playing a drum, the stone is of a celadon tone with mottled inclusions. The first, acquired June 1973 from a collector. The second, acquired June 1982 from a collector.